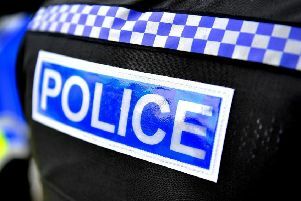 A former Thames Valley Police constable who skipped work to go on holiday to Spain has been found guilty of gross misconduct. Former Police Constable Nicholas Corbett was found to be in breach of the Standards of Professional Behaviour concerning Honesty and Integrity in relation to statements he made to a Police Medical Appeals Board. Mr Corbett claimed he had injured his back during a road traffic collision in 2014 which limited his ability to ride a bicycle. He also claimed he was unable to board flights which were longer than 90 minutes. On 13 October 2017 Mr Corbett did not turn up for police duty but was texted by his inspector asking about his whereabouts. He replied by claiming his back problem had flared up again however it was discovered that Mr Corbett was on holiday in Majorca, Spain, during which he was found to be cycling. After the holiday, Mr Corbett then deleted his Strava account, which is an app to track exercise. Mr Corbett, who was based at a headquarters department, resigned from the force prior to the hearing. The panel concluded Mr Corbett would have been dismissed had he still been a serving officer and his details will now be placed on the College of Policing’s Barred List. Detective Chief Superintendent Chris Ward, head of the Professional Standards Department said: “I am sure most of the force would agree that there is no room in this organisation for somebody who behaves as this former officer has. “Thankfully the vast majority of our staff are hardworking and dedicated.